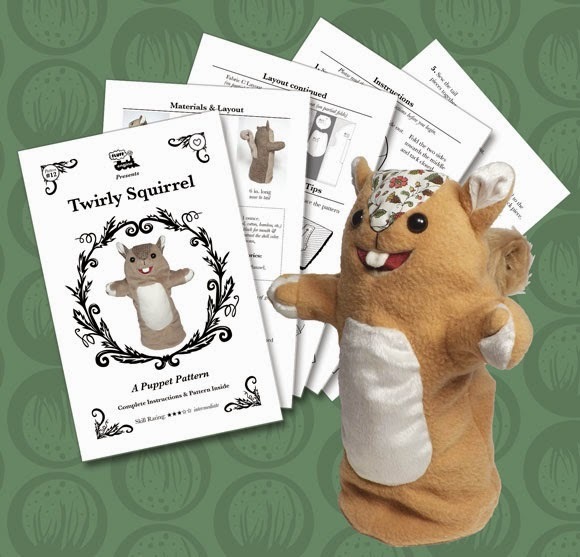 I just finished a new pattern, it's my first puppet pattern, called Twirly Squirrel. It's available for sale as a PDF download in my store and on etsy. I should be getting the physical versions from the printer any day now. 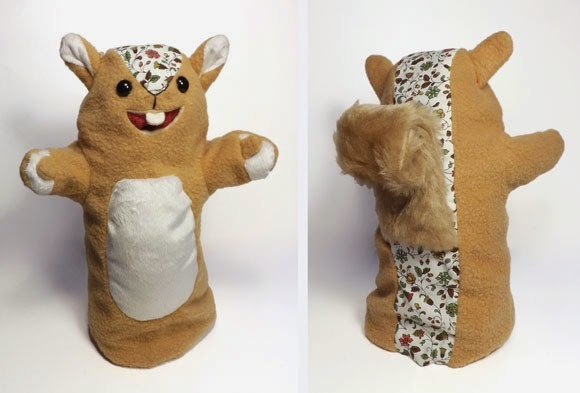 It was really different making a puppet because I had to think about the inside shape as well as the exterior. I'm pretty happy with how cute this one came out. I'm hoping to revise this post with a video showing the puppet in action, so stay tuned.